To help emphasize the structure of the various knots, to accompany the monochrome example knot, I'm tying versions that are half rainbow and half black. 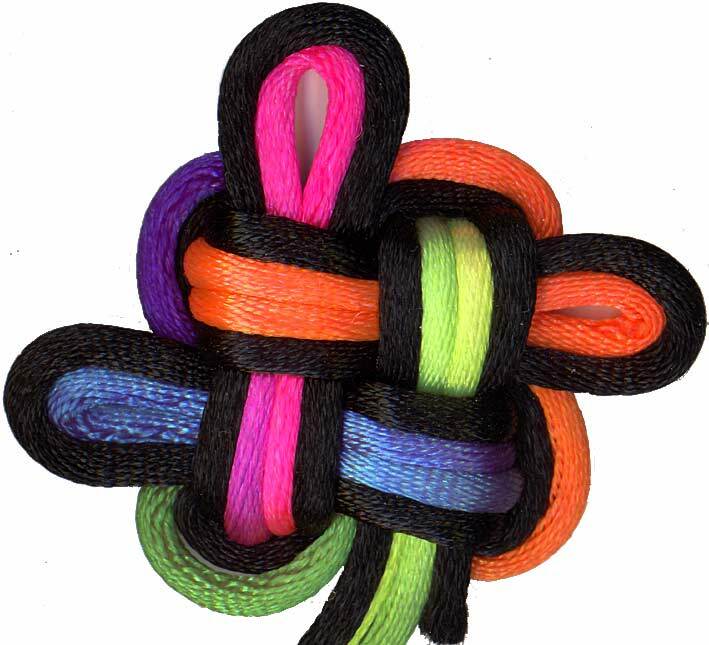 The rainbow colours provide both contrast to the black and an indication of where along the length of the cord being used to tie the knot the various elements of the knot might be. 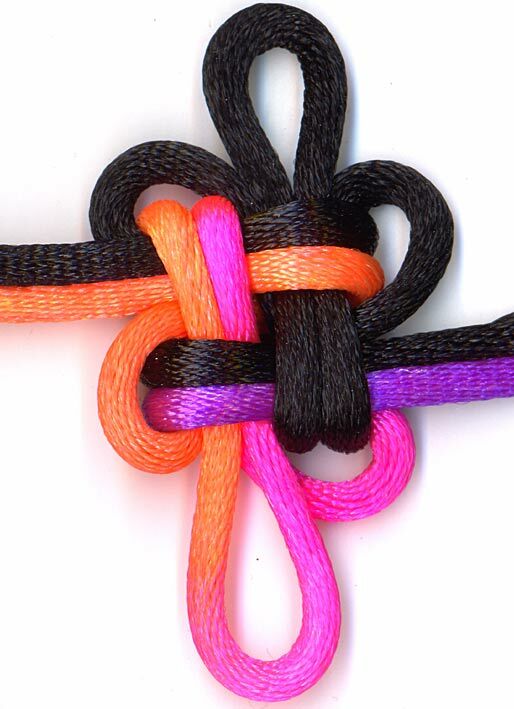 Similarly for the last knot on the left, a basic black knot is doubled with a rainbow cord. The good luck knot is different from most of the other knots with multiple ears in that there are double the number of ears than the size number of the knot would indicate. The 4-knots here on this page have 8 ears each. 4 short and 4 long. But, of course, ear size is subject to the whims of the knot tyer so basing terminology on that would be foolish. However, notice that what is traditionally the "long" ear comes out of the side of the knot and the "short" ear wraps around the corner of the knot. So, there you have some terminology to deal with the good luck family of knots. The first picture is a square flower knot followed by a segment of snake knot sinnet. nice, there are some really sweet knots on this site, i like the good luck one alot though. thanks for the ideas.